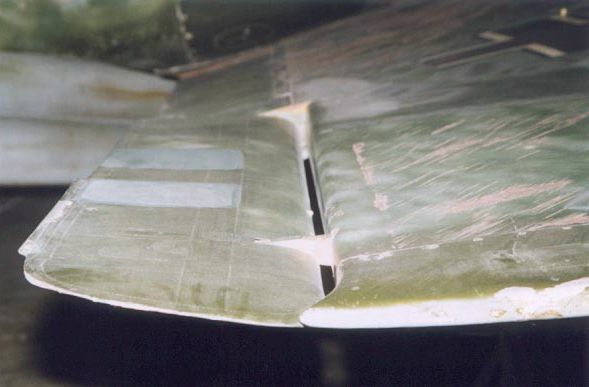 This detail view of the right wing tip shows more of the diagonal scratches. The elevon has two spots (fabric repairs?) with a different color.